A group of software engineers refused to work on technology that would help Google win military contracts, according to Bloomberg. This event incited others at Google to speak out against management’s ambitions for working with the military. 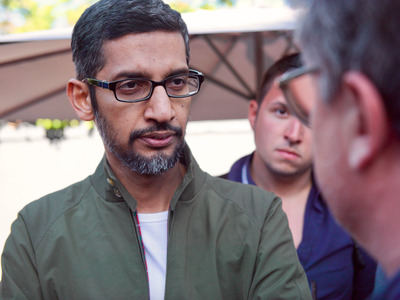 A group of Google software engineers mutinied earlier this year and refused to contribute to a technology called “air gap” that might have helped Google win “sensitive military contracts,” according to a Bloomberg report on Thursday. There’s little in the Bloomberg story about the technology’s capabilities or function, other than it was a “cutting edge security feature.”Whatever “air gap” does, it prompted the group of engineers to inform their bosses that they didn’t believe Google should assist the government wage war. Eventually, Urs Hölzle, the Google executive in charge of the company’s technology infrastructure, postponed the “air gap” feature, Bloomberg wrote. A possible hint as to the functionality of “air gap” comes from the term’s broader usage in the world of cybersecurity. In networking, an “air gap” is when a computer system is kept on an entirely separate network – making it harder, if not impossible, for an attacker to penetrate remotely. It’s literally separated by air from other systems, hence the name. When word leaked that Google was part of Project Maven, an effort to provide artificial intelligence technology to help the military analyse drove-video footage, thousands of employees signed a petition demanding an end to the relationship with the DoD. At least a dozen employees resigned in protest. The company earlier this month finally yielded and published a set of ethical principles promising not to buildAI-powered weapons. The longterm fallout over the controversy within Google is unclear, but the company voluntarily seems to have cut itself off from a potentially lucrative source of income. A single military contract can generate billions of dollars and would have boosted the reputation of Google’s cloud services as it tries to compete with sector leaders, Amazon and Microsoft. Perhaps what’s most interesting about this story is that, according to Bloomberg, the seed of this unprecedented employee revolt at Google and all this change to the company’s strategy began with just a handful of employees who banded together and said “no.” Google employs about 80,000 workers. What remains unclear is whether Google will continue working on “air gap,” Bloomberg wrote.